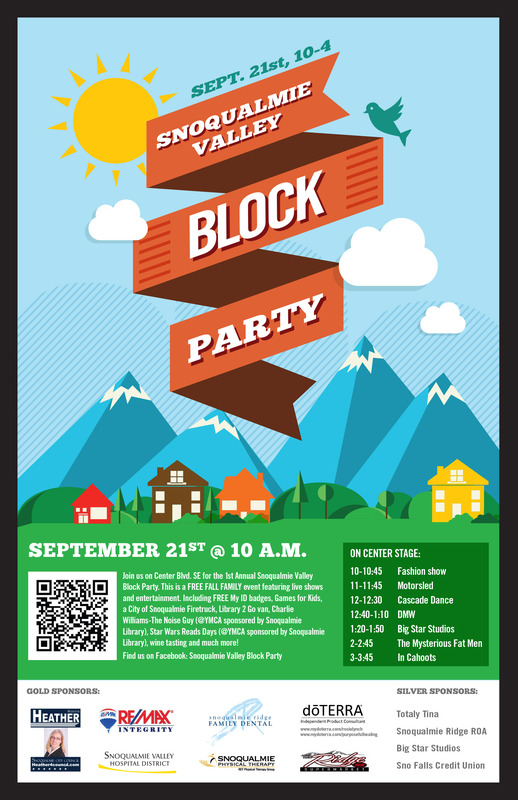 FreeValley Publishing will be at the Snoqualmie Valley Block Party on Saturday, September 21st from 10-4…Come and see the New Books, Meet our Authors and Choose a few Good Reads to Take Home as Summer turns to Fall. This entry was posted in Community, Events, News About FreeValley and tagged Arts, books, festival, Literature, Snoqualmie Ridge, Snoqualmie Valley, writing by freevalleypublishing. Bookmark the permalink. For Wednesday Words – here’s an upcoming event to enjoy! I’m excited for all these events I get to participate in – adding to my book’s resume/passport. Thanks FreeValley for organizing the authors together to be a part of the Block Party!